I learned long ago not to make specific New Year’s resolutions. Still there’s a part of me that can’t help envisioning the beginning of a new year as an opportunity to take on new challenges and improve my life. Try as I might, I can’t get myself to think of January 1 as just another ordinary day. It is a holiday, a special day, every single year, just like Independence Day and Valentine’s Day. On July 4, I always feel patriotic. On February 14, I always (repeat: always) remember to buy my wife a gift. And on January 1, I always think Today is the day I finally get my act together. By the time I’ve finished my morning coffee all sorts of unbidden thoughts have rolled through my mind. Thoughts like This would be a good time to start exercising more often, and Now’s the time to take on a new writing project, and Less beef, more kale. So I grab my workout clothes and head to the Y. Later I pull out the novel I’ve been “working on” since 1987 and compose a few paragraphs. Then I sit down to watch the Rose Bowl, foregoing my usual beer for one of my wife’s tasty homemade kiwi-asparagus smoothies. And I feel good. I can do this, I think. I can finally become the person I’ve always wanted to be. Except that it’s January. And did I mention that I live in Wisconsin? January 2 rolls around and it’s 10 degrees below 0 and there’s a blizzard coming. Can’t go out in that kind of weather. Guess I can skip the Y. And it’s cloudy and gray and I suffer from seasonal affective disorder. My mind is fuzzy. Can’t concentrate on the novel. Melancholy settles in. Maybe I should have a couple of beers. Oh yeah, and I might as well finish off that bag of Fritos. Then there’s the fact that I always get sick at this time of year. By January 3, I’ve come down with some kind of virus and can barely drag myself out of bed. And why would I want to– since it’s still dark at 7:30 am and the sun goes down by 4:00 pm? I can’t think of a worse time than the beginning of January for someone who lives in Wisconsin to make an effort at improving his or her life. Curse you—New Year’s Day! And so I have taken a look at some other calendar options. The Chinese New Year begins on February 10, which is still a bit premature for me. The Islamic calendar begins the year in November, which would be fine if I lived in the southern hemisphere. Of course, there’s the Mayan calendar– but we all know how that turned out. The Bah’ai calendar begins on the vernal equinox and consists of 19 months of 19 days. That sounds kind of attractive to me since after the 23rd day of most months I can’t remember what day it is without consulting a calendar. But 19 months might be too many. Is this Jalal or Jamal? And Valentine’s Day would fall on the 7th day of Mulk. That doesn’t sound right. Baha showers bring Azamat flowers? Doesn’t work for me. I recently learned that the original Roman calendar consisted of only 304 days and ten months, March through December. The days after the end of December and before the beginning of March were not assigned to any month. So, in essence, January and February did not exist. I like that idea. This is fallow time for me, the sunlit hours so few that the days all seem to flow together into one big uneventful passage of time. It’s like I take a long winter’s nap and wake up around the beginning of March, when the sun shines higher in the sky and the earth comes alive all around me. I have concluded that there is only one calendar that fits my lifestyle and moods perfectly. It begins gently sometime at the end of February, in a rather provisional manner, but it doesn’t really count until the beginning of April. I like the idea of having a number of weeks to practice and warm up before I actually try in earnest to get my life together. April and May are full of hope, and in June and July there’s still time to make up for any mistakes made in April and May. By the end of August it’s clear whether it’s been a good year or not, and it all culminates with a burst of glory in October. So you’ll have to excuse me while I return to hibernation and dream about the day when I’ll hear the crack of the bat once again. Go Brewers! This entry was posted in Self Improvement and tagged Bah'ai, baseball, calendars, January, New Year's Day, resolutions, self improvement, Wisconsin. Bookmark the permalink. 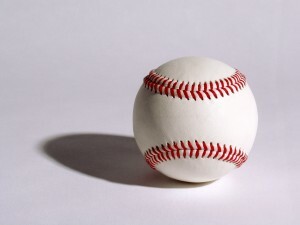 It sounds like baseball season brings you out of your shell of hibernation and a time to live again from many days of gloom to bright sunny days. I like your anlogy about so goes life for all of us with some bad days, many, and a few good days. I can eai;y identify with your feelings/perspective.